AMD brought their newest Piledriver architecture to their APU chips first with the release of Trinity. We have already looked at the Trinity chips themselves, so lets take a better look at the motherboards designed to support them. Today, our AMD A10-5800K APU will be paired with three great FM2 socket motherboards with three leading manufacturers and we've selected the MSi FM2-A85XA-G65, GIGABYTE GA-F2A85X-UP4, and ASUS F2A85-V PRO. May the best board win! 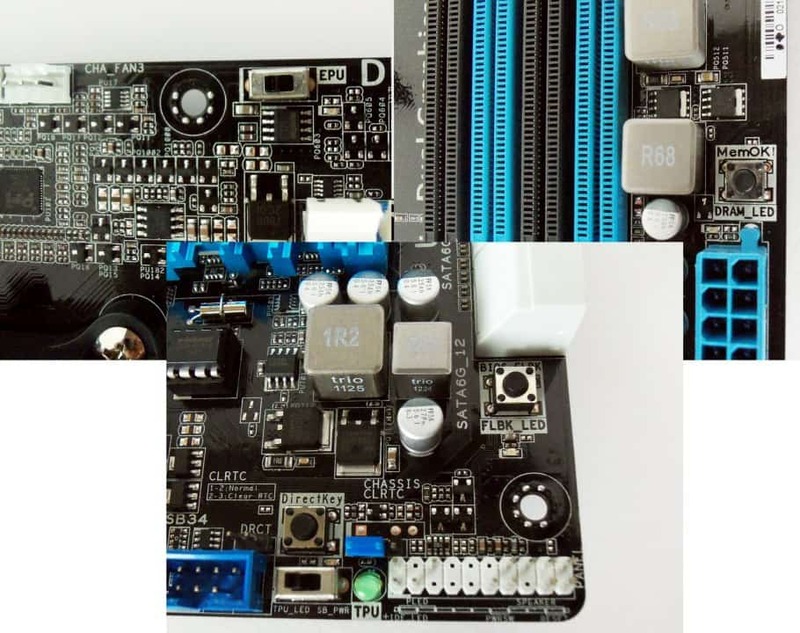 There are a number of features these three motherboards share being based on the new AMD A85X FCH (Fusion Controller Hub) and Virgo Platform. The difference between the new A85X and the A75 from the FM1 socket is an updated I/O control. The A85X adds two additional 6 Gb/s SATA connectors (bring this up to 8 total) and support for RAID 5. This is great for those looking to use an AMD APU system as a network storage hub, media center, or require a lot of drives. As there is no other changes to speak of with the A85X, all FM2 socket motherboards carry over all the features from the previous generation. This includes support for up to 4 USB 3.0 connections, 10 USB 2.0, Gigabyte Ethernet, 4 channel audio support (up to 7.1 surround sound), and HDCP video output via the AMD APU on-die graphics. New with Virgo is support for CrossfireX in addition to AMD Dual Graphics. There is also a handful of physical similarities as all three boards on the rear I/O such as Realtek ALC892, 1 x DisplayPort, 1 x VGA, 1 DVI-D, and 1 x HDMI output. This ensures you have full support without addition hardware beyond the AMD APU for your sound and video. Each of these boards also has powered USB port to help recharge USB devices faster than standard USB ports and are Windows 8 ready. Lets start with a overview of each motherboard. 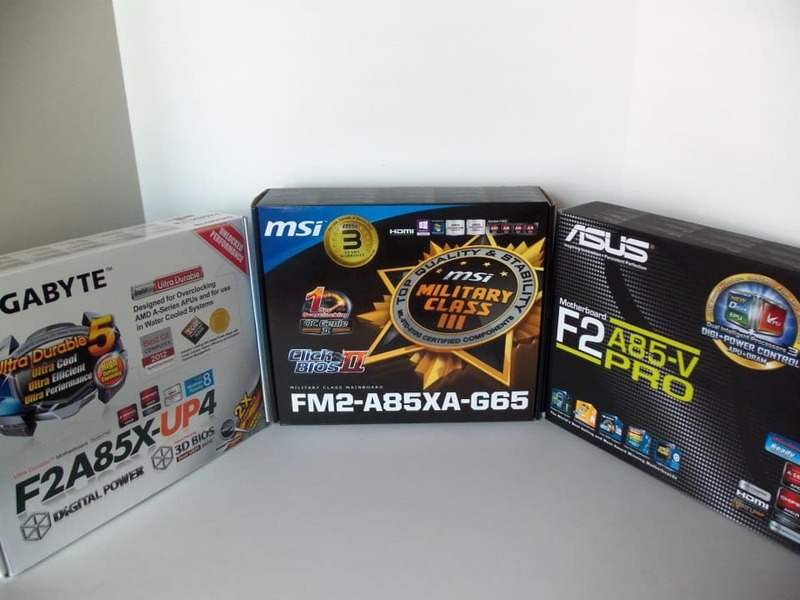 The final member of this round up is the ASUS F2A85-V PRO. If you are a big fan of software features for your FM2 system, then this is the board for you. The F2A85-V PRO has everything from a robust Windows-based control system to several physical, dedicated buttons for instant control. Going beyond the EPU and TPU switch (which allows you to switch power/performance modes), the board also has a MemOK!, BIOS Flashback, and DirectKey. The DirectKey button allows you to enter the BIOS from standby without needing to wait to press delete. It seems trivial, but it's great for those who need access to the BIOS repeatedly. The USB BIOS Flashback is located just to the right of the DirectKey below the SATA ports labeled BIOS_FLBK. This allows you to take a USB thumb drive and update the BIOS with the press of a single button. There is no need to enter the BIOS or start your OS though these options are also available. You can even update the F2A85-V PRO's BIOS prior installing the CPU or other components making this the most enthusiast friendly board of the round up. The ASUS is also the only board with a secondary USB 3.0 controller, which adds two additional USB 3.0 ports to the rear I/O. These ports should not be used for your mouse or keyboard as they do not respond during installation or in BIOS when connected to them. But they will provide the data transfer speeds that USB 3.0 is known for once you are booted. 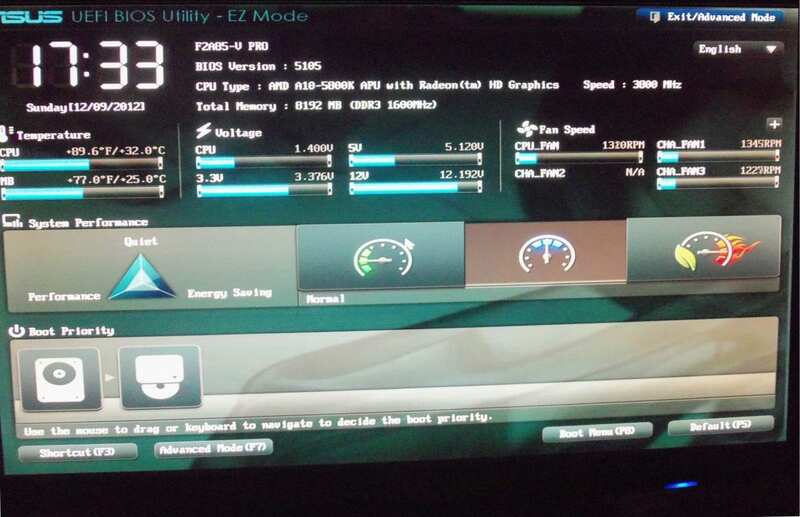 Moving on to the UEFI BIOS and all the great software ASUS included, the ASUS F2A85-V PRO is the most well refined. It is the only BIOS among these boards to include help descriptions for every single option. In fact, this is something that reviewers have been asking board manufacturers to do for quite some time and it exists on this board. 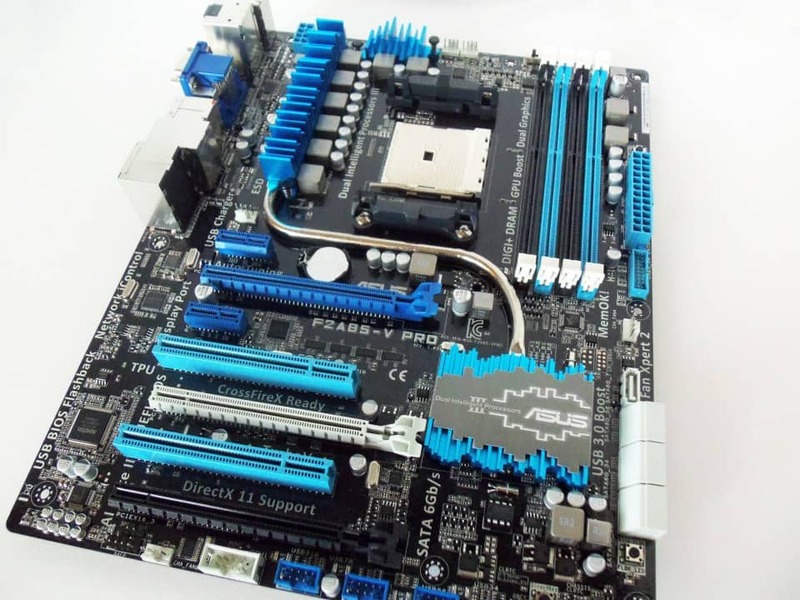 The BIOS and ASUS AI Suite II is identical to the ASUS F1 A75-V EVO I reviewed previously. The BIOS has nothing new to offer, but the AI Suite does come with some new items specific to this platform. The ASUS AI Suite, if you are not familiar with it, is a complete collection of software for controlling your motherboard's various feature. This time around the ASUS F2A85-V PRO brings some additions to the previous features such as hardware monitoring, voltage controls, overclocking features, and power/performance switching. The F2A85-V PRO introduces Network iControl and Remote GO! to the menu options. The Network iControl allows you to quickly and easily manage network traffic at an individual program level. This includes access time, priority, restrictions, and/or bandwidth limitation which is all presented well. Remote GO! is a HTPC file sharing system that allows file sharing between your PC, smart phone, and/or DLNA device. You can also control your PC via your smartphone. We intended to test this software and include some information about it, but it did not support Win7 phones at the time of this review. The ASUS AI Suite II is good software overall and these new features help to diversify its usefulness. I also love the fact I can pick and chose which pieces are included during the install. My issue here is the lack of the same refinement as the ASUS UEFI BIOS. Certain parts of the software are badly or not explained. The presentation for the AI Suite is just not there yet as features keep getting added as a new tab or button. The ASUS F2A85-V PRO comes in with the highest MSRP of $139.99, but may be justified based on what it brings to the table in terms of features. The Futurelooks Price Engine finds this board available for $136.35 here which is not much lower than the MSRP unfortunately. Lets move onto the next motherboard in the round up, the GIGABYTE GA-F2A85X-UP4. Heading to GOTTACON 2013 This Weekend?